I'm still on track to using a feature phone and a tablet rather than a smartphone. 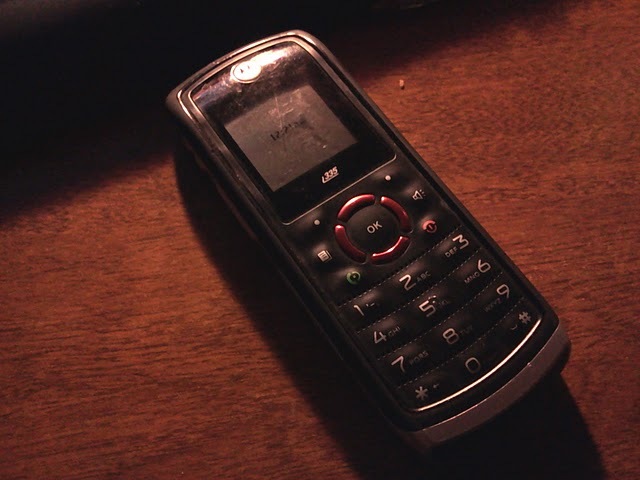 I've switched the T-Mobile Nokia for a Motorola i335, which is an iDEN phone on Boost. In case you're confused why I'm kvetching about Sprint, it's because Sprint operates the Boost Mobile network(s?). Boost is in the process of transitioning clients over to CDMA phones from their old iDEN phones. Lately Sprint has been lousy about maintaining the network. If you recall, Boost Mobile started off as a popular prepaid phone service. What made them popular at the time was that they offered unlimited walkie-talkie calling for $1 per day. These days, the walkie-talkie feature isn't as popular. This is not because it's not useful; rather, the iDEN network is old technology that is not capable of transferring high speed data, which our smartphones slurp up like nobody's business. There are still plenty of people who use iDEN phones to communicate abroad or with their workforce. Contractors still use iDEN phones to communicate with their crews. I own an iDEN phone because I still find it useful to chirp somebody up on a spare phone I have when I'm working on a project. It's just faster. While, I can technically call other people using unlimited minutes, or text them with my unlimited sms, chirps are instant... and also unlimited. One thing that Sprint did well for the longest time was to maintain good iDEN coverage in my area. Lately, I've been driving through more and more dead zones. Calls drop, messages don't come in or go out. It's inconveniencing me. I can sort of understand why Sprint isn't keeping the local network up like they used to. They will support the phones until 2013, when they will be phased out completely. According to the grape vine, Sprint will provide walkie-talkie service via CDMA phones capable of talking to old iDEN phones. Naturally, there is little incentive to invest heavily in a technology that will be obsolete soon. Unfortunately, it's affecting my ability to communicate. I don't like it. I would switch to a Boost CDMA phone if it could do walkie-talkie; but those aren't due to arrive until Fall. In the meantime, I'll kvetch about the deteriorating service. Job done.